In law, there’s an important concept critical to the testimony and determination of truth. 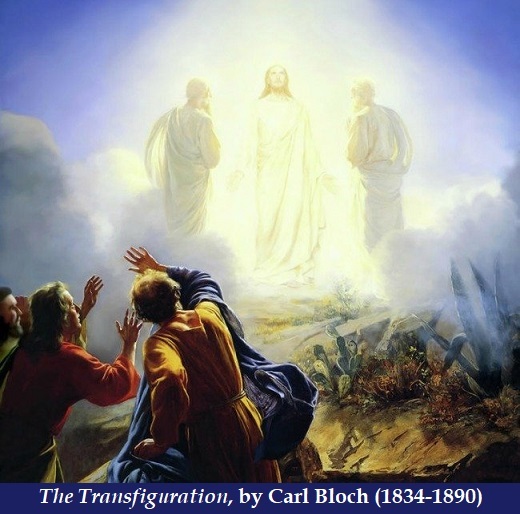 Today, the universal Church celebrates and remembers a particular event about which the Apostles were percipient witnesses — the Transfiguration. Do you doubt these percipient witnesses? St. Stephen, the first martyr of Christianity, was stoned to death in Jerusalem, c. AD 34. St. James, son of Zebedee and brother of St. John the Apostle, was the first Apostle to be martyred. King Herod had St. James beheaded in 44 AD. St. James, son of Alpheus, was reported by the Jewish historian Josephus to have been stoned and then clubbed to death in 62 AD. St. Jude Thaddaeus was crucified in Syria, c. 65 AD. St. Simon the Zealot ministered in Persia and was sawn in half, c. 65 AD after refusing to sacrifice to the sun god. St. Peter and St. Paul were both martyred in Rome about 66 AD, during the persecution under Emperor Nero. St. Paul was beheaded. St. Peter was crucified, upside down at his request, because he did not feel he was worthy to die in the same manner as his Lord. St. Mark, a rope around his neck, was dragged to death in Alexandria, Egypt, in AD 68. St. Thomas was pierced to death in India, 72 AD, where the ancient Marthoma Christians revere him as their founder. St. Matthias, who was chosen to replace Judas, was burned to death in Syria, c. 80 AD. St. Bartholomew (identified as Nathaniel in the Gospel of John) is believed to have been skinned alive and crucified. He ministered in India with St. Thomas, in Armenia, Ethiopia and Southern Arabia. St. Philip was crucified in Hierapolis, Asia Minor, 80 AD, for converting the wife of a Roman proconsul. He also ministered in North Africa. St. Andrew was crucified in Patras, Greece. He also preached in Asia Minor and modern-day Turkey. Christians in the former Soviet Union say he was the first to bring the Gospel to their land. St. Matthew was beheaded in Ethiopia. He had also ministered in Persia. St. John was the only Apostle who died a natural death from old age, after surviving an ordeal of being thrown into boiling oil. He was the leader of the church in Ephesus and is said to have taken care of Mary the mother of Jesus in his home. In mid-90s AD, he was exiled to the island of Patmos, where he wrote the last book of the New Testament–the Revelation. Below is an account of the Apostles’ martyrdom by Dean Jones in the stunning one-man play St. John in Exile. Though filmed in 1986, I had never heard of or seen it and only recently discovered it. I urge you to watch St John in Exile, which reduced me to weeping, in its entirety. This entry was posted in Bible, Christians/Christianity, God, Inspirational, miracles and tagged apostles as percipient witnesses, Dean Jones, Mark 9, St. John in Exile, Transfiguration. Bookmark the permalink.